Nothing says "love" better than Italian! 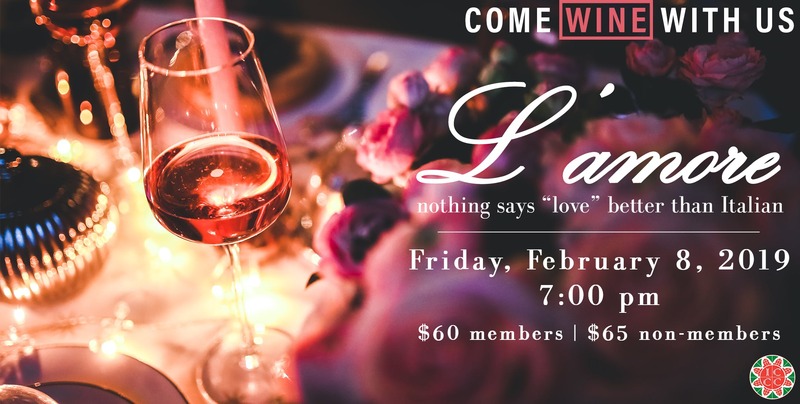 Celebrate Valentine's day early with a romantic date night at the ICCC! The Italian Cultural & Community Center (ICCC) will host a wine tasting on Friday, February 8, 2019 at 7:00 pm as part of its wine tasting series Come Wine with Us, which debuted in early 2016. This guided wine tasting will offer multiple wines from various regions of Italy. Restaurant partnership TBA. Guests will have the opportunity to enjoy a one-of-a-kind tasting experience through the exploration of the cultural, environmental, historical and social context of these regional wines, paired with bites carefully selected to create a distinct and unique flavor.